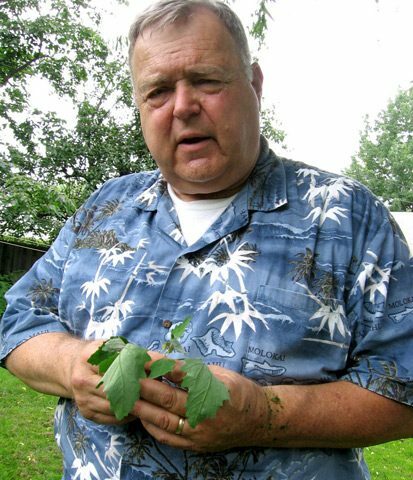 Peter Gail holds his favorite weed: the spinach-like lamb's quarters. It's not hard to find lamb's quarters in a suburban backyard. 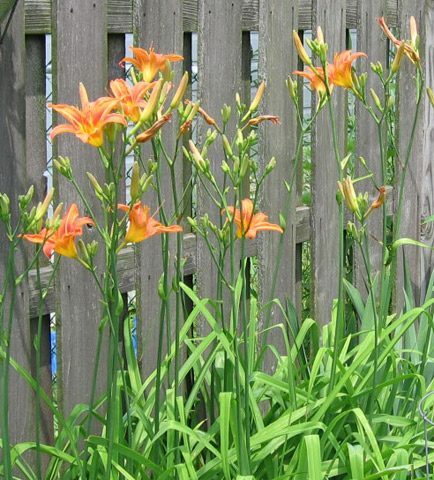 Edible lilies in the same backyard. Your barbeque grill isn’t the only place to find food in your backyard. Peter Gail of Cleveland loves food. He’s got a lot of meat on his bones. faced some tough times. 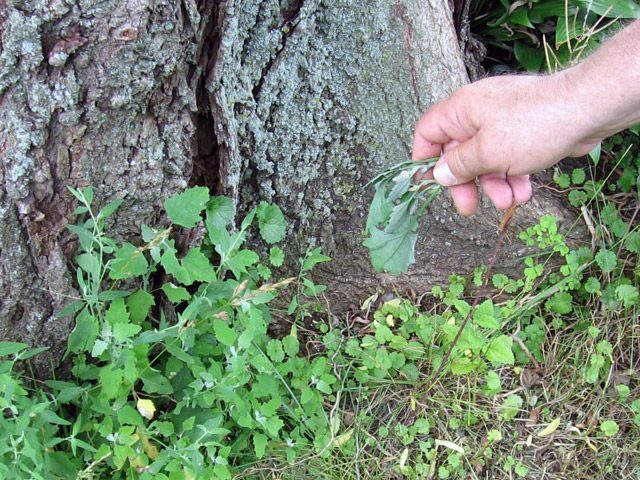 They were saved by a common weed known as lamb’s quarters. as Belgium spinach. Or, Gail says, you could just take a quick look around your yard. “80 percent of the things we call weeds were vegetables brought here by immigrants. might need these plants again someday.